How great would it be to be able to tell in advance whether a particular birth would go smoothly or need intervention! A French team of physicians reported this week at the annual meeting of the Radiological Society of North America that it has developed a new computer model that uses magnetic resonance imaging to predict whether a birth will go smoothly or have problems. Olivier Ami MD told a session of the RSNA meeting in Chicago that his team applied the new software, called Predibirth, to 24 MR images of pregnant women, and created a three-dimensional model of the woman's pelvis and the fetus. Using these images, Predibirth calculated the likelihood that the babies could find their way out of their mothers' bodies without assistance. Of the 24 women studied, 13 delivered normally. Predibirth had predicted normal births for all of these women. Predibirth had tagged three women who opted for elective Cesarean sections as being at risk for dystocia. Of five women who had emergency C-sections, Predibirth had predicted three might have problems — all three involved instructed labor. However, Predibirth had given thumbs up to two of the mothers, whose problems involved heart arrhythmia. Predibirth had declared "mildly favorable" three additional moms who wound up resorting to vacuum extraction during birth. Not perfect, but not bad. "With this virtual childbirth software, the majority of C-sections could be planned rather than emergency, and difficult instrumental extractions might disappear in the near future," Dr. Ami told his audience in Chicago. Dr. Ami M.D. is an obstetrician in the radiology department at Antoine Béclère Hospital, Université Paris Sud, France. Carla Bruni-Sarkozy, the first lady of France, reportedly is pregnant. The Sarkozys have not confirmed the story, but it moved beyond rumor this week when the president's 82-year-old father, Pal, told the German newspaper Bild, "I'm glad to be having a grandchild." The Italian-born Bruni-Sarkozy, 43, a former model and entertainer, has one child from a previous relationship. Her husband, French President Nicolas Sarkozy, 56, has three children from two previous marriages. The couple married in 2008. The baby boom doesn't stop in the Elysee Palace. With an average of 2.01 children, the French have one of the highest fertility rates in Europe. The population hit 65 million last year, when 828,000 babies were born in France. In 1894, Marie Francois Sadi Carnot, the president of France, was stabbed by a would-be assassin in Lyons. By today's standards, the wound was not severe; however, the knife severed the portal vein in his abdomen. Carnot bled to death because up to that point, no one had figured out how to repair blood vessels. One man undertook to change that, Alexis Carrel, a student in Lyons who was appalled by Carnot's death, in his hometown, while a number of physicians stood by and watched. But consider the problem — repairing a tiny, elastic, living tube, part of a network of tubes of different sizes and functions, so that it would retain its ability to channel many gallons of blood every day, birth to death, without a hitch. The story is that Carrel — Dr. Carrel by 1900 — studied with Marie-Anne Leroudier, one of the most proficient needlewomen in Lyons (her work was exhibited at the Columbian Exposition in Chicago in 1893), learning to make minute, uniform stitches. He developed a triangular system that allowed him to rapidly close up a vein or artery end-to-end without having the stitches adhere to the opposite wall, ushering in the birth of vascular surgery. Carrel came to the University of Chicago in 1904, where his prodigious 21 months' work as an assistant to G. N. Stewart at the Hull Laboratory laid the groundwork for transplantation surgery. That work was the basis for Carrel's becoming the first scientist working in the United States to win the Nobel Prize for medicine, in 1912. Carrel soon moved on to the Rockefeller Institute for Medical Research in New York. Carrel was a complicated man, compassion and curiosity mixed up with arrogance and resentment. He was a eugenicist — that is, he subscribed to the false science of "perfecting" the human race by eliminating traits judged to be inferior — and he was also an enthusiastic believer in the miracle cures at the shrine at Lourdes. 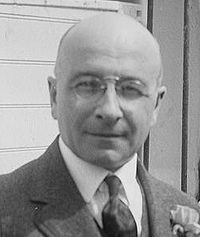 At the time of his death in 1944, in Paris, he was working on a project for the collaborationist Vichy government. Speaking of Haiti, Minneapolis Star-Tribune reader Lily Coyle's letter from Satan is at the top of my "Wish I'd Written That" list right now. As Coyle points out, people who make a pact with the devil are supposed to pay up in the next life, not in this one. The question of why bad things happen to some people but not to others is a fundamental one. A popular answer is that people who suffer have offended God in some way. 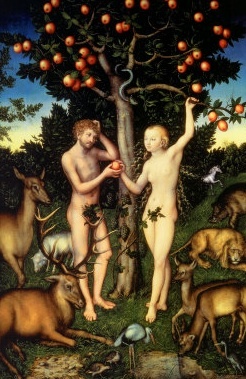 The Bible, specifically Genesis 3:16, explains the pain of childbirth as part of the punishment women must suffer for the sin of Eve, who with Adam disobeyed God in the Garden of Eden. Not only that, but the Talmud, a collection of rabbinical writings, says that women who die in childbirth have violated Jewish law in specific ways. Imagine the neighbors trying to figure out exactly what transgression the dead woman might have committed. Here's my two cents: Bad things happen to good people. All the time. We don't know why, but they do.